Te Manawa Atawhai Catherine McAuley Centre, at Villa Maria College, has been named the winner of the coveted award for Public Architecture at the Canterbury Architecture Awards. 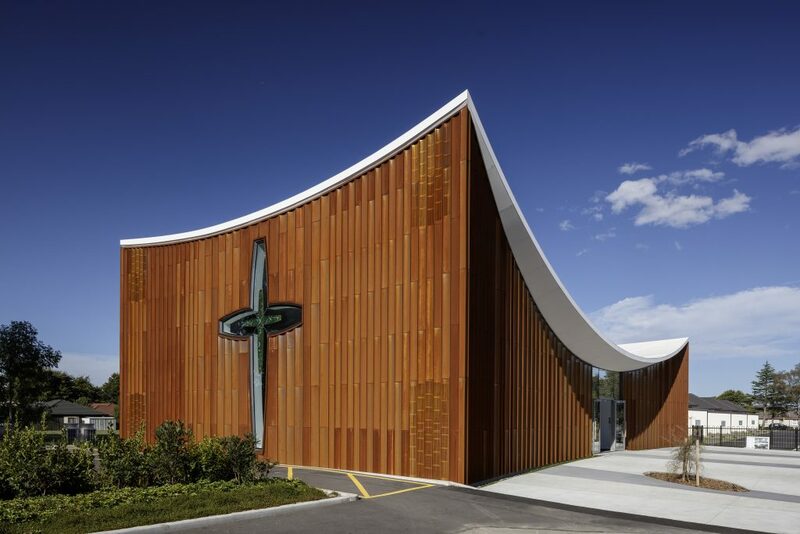 The building’s Pounamu Mercy Cross has also been named as a finalist in the prestigious national Interior Awards for 2018. “We are feeling very blessed to be able to work with such a gift of Pounamu from Sister Tui Cadigan and Ngai Tahu and for the help from Fayne Robinson and his team who cut the stone,” said Hamish Shaw, of Hamish Shaw Architects, who designed the building. Te Manawa Atawhai Catherine McAuley Centre was purpose built for the Sisters of Mercy, who founded Villa Maria College a hundred years ago in 1918. The building was officially opened this year, and is a very special addition to the landscape of the College. This year marks a century since the Sisters of Mercy first welcomed pupils to Villa Maria College. With their clear objective to deliver quality education for girls from Catholic families in and around Canterbury, the Sisters provided a place of learning, a place of prayer, and a place where young girls blossomed into the leaders of tomorrow. For most of Villa’s history, the Sisters of Mercy were firmly at the helm, with the first “lay” principal not introduced until 1993. These women, as leaders of the school, grew and adapted as needed so that the College would succeed into the future. All this from very humble beginnings in the Riccarton countryside on Peer Street.